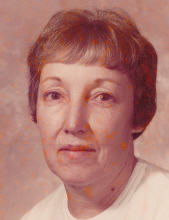 Pearl Garver Bumgardner, 91 of W. Warren Street, Shelby passed away, Saturday, February 9, 2019 at White Oak Manor in Shelby. Born November 19, 1927 in Cleveland County, she was a daughter of the late Ambrose Andrew Garver, Sr. and Nishie Jeffries Garver. She retired from Dicey Textiles. In addition to her parents, she was preceded in death by her husband, John Ernest Bumgardner; a son, Charles Matthew Bumgardner; two brothers, Steve Garver and Ambrose Garver, Jr. and six sisters, Ruby Peace, Marie Yount, Jackie Bagley, Frances Poston, Barbara Mullaney and Evelyn Carter. Survivors include two sons, Bobby Bumgardner and wife, Tara of Shelby and Donnie Bumgardner and wife, Helen of Boiling Springs and three grandchildren, Casey Bumgardner, Matthew Bumgardner and Grace Bumgardner. The family would like to give a special thanks to her caregiver, Judy Jackson, her friend and neighbor, Jimmy Allen and the Infusion Floor Nurses, Paula, Angie, Mary Beth and Meagan. Visitation will be 1:00 PM to 2:00 PM, Monday at Stamey-Tysinger Funeral Home. A funeral service will be 2:00 PM, Monday at Stamey-Tysinger Funeral Home Chapel with Dr. Tim Sims officiating. Burial will follow in Palm Tree United Methodist Church Cemetery, Lawndale. To send flowers or a remembrance gift to the family of Pearl Garver Bumgardner, please visit our Tribute Store. "Email Address" would like to share the life celebration of Pearl Garver Bumgardner. Click on the "link" to go to share a favorite memory or leave a condolence message for the family.